Painting a baby's room pink or blue is a thing of the past. Instead, today's parents are opting for more gender-neutral nursery designs. Whether it's because the gender is a surprise or you just want to buck tradition, each nursery should be as unique as your little bundle of joy. Use an array of gender-neutral nursery ideas, featuring bright colors, fun themes, rich textures, and chic accents, to make your baby's room peaceful, relaxing, and still anything but ordinary. Your baby's space should be a room they grow into. Staying away from traditional hues and instead focusing on whimsical themes allows parents to bridge the gap from infant to toddler to preschooler more easily. Gender-neutral themes can include animals, the alphabet, dreams, or even the circus. Because each incorporates various colors and accents, these motifs lend themselves well to various patterns, shapes, and imagery perfect for establishing a soothing and inspiring space for baby and parent alike. Finding the perfect theme for your gender-neutral nursery will also inspire thoughtfulness and creativity in your child. For instance, artistic designs featuring decals, murals, and matching bedding encourages imagination while your baby grows. Different themes will aid in your child's learning and development, so choose wisely. Selecting the right color palette goes hand in hand with the perfect theme. Gender-neutral nursery colors typically include greens, yellows, and purples in pastel tones, as well as calming grays, beiges, and whites. Decorating your child's room in these softer hues creates a serene space great for quiet thought and introspection during late-night feedings. Greens and yellows invite nature inside and work well as both base and accent colors. On the other hand, gender-neutral nurseries can benefit from bold, bright color choices as well. Shades of red, orange, or even black are excellent for adding pops of color to your baby's room. While not ideal for using in an entire design scheme, a solid accent wall or bold patterns in a daring color choice can create visual interest that stimulates babies minds. 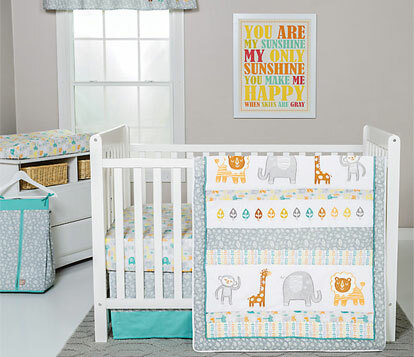 Layering textures is an ideal way to make your gender-neutral nursery stand out. Look for curtains, bedding, or rugs to contrast and balance the room. You can also add accent pillows, oversized throws, and soft toys to gliders, shelves, or changing stations to add textural depth to the space. Additionally, wallpaper creates contrasting textures on walls while also highlighting the nursery's colors. Adding the right furniture and accent pieces to gender-neutral nurseries is as important as theme and color scheme. 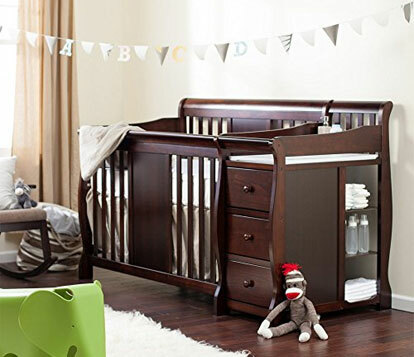 Finding the perfect crib, rocker, dresser, and changing table is imperative for both function and style. Each piece should reflect the overall theme you've focused on, meaning furniture color should complement the prominent color palette. Accent furniture such as hampers, storage bins or bookshelves are the perfect place to experiment with pops of color and textures.